Hip hip hooray, it’s my blogs first birthday. So today marks twelve months since I swapped the 4-and-a-half-year-university-safety-blanket for that whole graduating dietitian thing and entered the blogging world. This time last year I had dreams of working as a clinical dietitian, living in the inner Melbourne suburbs and brunching every weekend. Well, forty-three brunches later, it is safe to say I am almost brunching every weekend. But never did I anticipate that I would end up in Melbourne’s Northern suburbs for a brief-soon-turned-eight-month-stay at my brothers, or I’d be making the weekly trek to rural Gippsland for work. Funny how things don’t always work out as you planned it. But I’m kind of glad that it didn’t. Yeah sure, since October most of my possessions have been in storage and I’ve been pretty much living out of a country road bag. And I work two and a half hours (three in peak traffic) the other side of Melbourne to my hometown in Western Victoria. This means that quick weekend trips home have become virtually non-existent, I’m seeing my family less and less and I think I may be homesick for the first time ever. Plus let’s not forget that whole graduating-dietitian-thing. That was/is hard. It still breaks my heart, and it’s a real punch in the ovaries that the next bunch of Deakin grads are about to enter the play pen and yet so many of my cohort are not working at a full time capacity in an industry we have put our hearts and souls into. So it’s been hard and it’s been stressful. And often people didn’t/don’t get it, which makes it harder and even more stressful. But those things aside, life is pretty good. In terms of the whole working as a dietitian thing, I’ve been so lucky to obtain several different positions. I delved into the other side (food industry) full time for three months, and most recently I have spent Monday’s talking healthy meals and snacks with fifteen year old boys. Right now, I’m balancing three jobs and wearing out my (new) car tyres gaining valuable experience across the clinical, community outpatient, aged care and health promotion settings at four locations along the South Gippsland Highway. Yes, four. In all seriousness though, working with Coles provided invaluable insight into the current dietary trends and beliefs within the community, and my product knowledge now puts that tedious 226 page foodkit to shame. Teaching a fifteen year old how to slice a tomato reinforced just how important practical food education is in ensuring we lead healthy lives. Following a healthy eating pattern is more than just the foods we put into our shopping baskets. There is little point buying all these wonderful, nutrient dense foods if we don’t know how to prepare and cook them, or why they are even good for us. So a big virtual high five to the staff at this Melbourne secondary school for implementing this, and to Jamie Oliver for fighting the good food fight across the world. Now for the rural jobs. The travelling, country-road-bag-situation and not sleeping in the one place every night has been challenging. But there is that warm and fuzzy community feeling that I remember from home, and is definitely part of the reason I was open to rural opportunities. Everyone has been so welcoming, and I’m learning a lot. My clients have taught me that Port Albert has the best fish and chips, and people come far and wide for the bread from the bakery in the plaza. I have also had the opportunity to see a side of Victoria I have never experienced, work in towns I have never even heard of and meet so many amazing people. I’m also starting to find what I’m crazily enthusiastic about. Educating children on practical food and nutrition education, and promoting health rather than diets are definitely becoming the jam to my peanut butter. While I do crave numbers, skewed biochemistry and clinical dietetics, I don’t think I want to do that eight hours per day (plus the overtime) every day for the rest of my life. I absolutely love that in the morning I can be talking ‘everyday’ and ‘sometimes’ foods to children, and later in the afternoon I’m sitting in the aged care home talking to a resident about their life and despise of chocolate Sustagen. As for living with my Brother? It actually hasn’t been so bad. He may say otherwise but that’s because I’ve nagged him to do the dishes or bugged him about getting the vacuum out of his car. Nothing crazy at all – I just like things clean. We’ve had some good times, I’ve started to influence his cooking habits a little and I have fond memories of the time we bought chocolate milk. Seriously, I don’t know what made him think that I was going to drink a pint of it in one go. He even allows me to take food photos. This whole blog thing has been good, great, unexpected and sometimes challenging. It kept me busy when job boards were scarse and I wasn’t working, and now sometimes it can be hard pulling together something half readible. But I actually really do enjoy writing, which is a little funny because I was a math & science girl at school. I cringe at my original name – It’s so corny. Although some may say that about ‘Broccoli and blueberries’. Yes it’s a little odd, but then I’m a little odd too, so I’m convinced it works. I also cringe at this photo I had taken (by the brother, on the iphone) for my social media profile picture. I clearly showed some poor attention to detail here, and I wish it was easy as flipping the photo on it’s vertical axis. But it’s not. That would really show you just how bung my bung eye can be. Anyway moving on from my clear physical issues. Over the past year I have (somehow) managed to pull together FIFTY-FOUR blog posts, and even write some successful posts too. For a long time, my first ever blog post – a word vomit of my journey to dietetics – was sitting on my wordpress stats for the most views in one day. I finally topped that one. It seems I may have clutched at the hearts of dietetic students, graduate Dietitians and established Dietitians as I wrote about the ball-breaking time of being a graduate dietitian in a world that much needs Dietitians but doesn’t seem to want them. I’ve also been quite overwhelmed with the support I have received. My blog was featured in Nosh magazine, the local newspaper from home wrote a full page on me and I was chuffed to be asked to contribute to Vitality’s newsletter. I also started to write for Larina’s blog, and one of my contributions was republished in the YMCA Healthy Living Magazine, and another you will find on the Dry July Wellbeing website. So cool. In the nutrition world, it seems people are still hailing kale. Just the other day, I saw a cookbook dedicated to cooking with Kale. Coconut oil is hot, and there’s been that whole saturated fat debate. We have also seen the new Health Star Rating replace the %DI on many of our food products, and after fifteen years, the new pyramid arrived. Grains have moved up the pyramid, healthy oils are now included at the peak and the focus has shifted from ‘limiting’ to promoting those everyday foods. As a population it seems that we are concerned with perfecting our diets with ‘superfoods’ and #cleaneating, yet many of us are failing to get the basics right. We should be focusing on eating enough fruits and vegetable every day, and keeping an eye on those ‘sometimes’ foods – how sometimes is sometimes? Plus let’s not forget Pete Evans and all the other cereal-box-qualified-social-media-health-gurus who have been causing a ruckus. I think I speak for many in my profession – we are fed up. Fed up with the promotion of miracle cures, fad diets and cutting out food groups from unqualified health professionals who often cherry pick research to support their theories. Aside from being a dietitian, driving everywhere and writing blogs, I’m also generally eating. Man, I have eaten some bloody good food. In fact, I’ve eaten breakfast at 12 of Urbanspoon’s top 15 places to brunch in Melbourne. Plus the rest. My stomach and senses have been sending Melbourne’s foodie scene multiple fist pumps, high fives and paychecks. Personally, I’ve eased up a bit and become more relaxed. At times, I have even questioned my understanding and application of the word moderation. It’s just that my social life is often too social, and I’m friends with people that appreciate great food. My kitchen has expanded with new cookbooks and foods like swede, quince, goat’s yoghurt and many herbs I can’t pronounce. I’ve decided I don’t like French toast. I like the toppings that come with it – that’s the marketing ploy – you have me at caramelised peaches, fresh plums, slivered ice creams and vanilla mascarpone. But you’ll lose me once I read blueberry & ricotta hotcake. You see, I do much prefer pancakes. I don’t like kale. I’m not into donuts. I have an on-again, off-again relationship with quinoa and lentils, and I just really love porridge. I’ve realised that large amounts of broccoli make me bloat, baked ricotta is the bomb and I really appreciate a good burger. Man, I’ve eaten a lot of burgers this year. And then there was that whole three-carb fiasco. In other areas of my life it seems that I did not go on one holiday, and I’m still a red head. I can conclude that I am definitely not a cat person; I need personal space and Ruperito doesn’t understand the concept even the slightest. I also lived in Brunswick for five weeks, and then house sat for two months in Kew. Now I’m a little far north than I would like, but my love for breakfast has me often frequenting the inner suburbs. As a result, I could probably get a job with silver top. 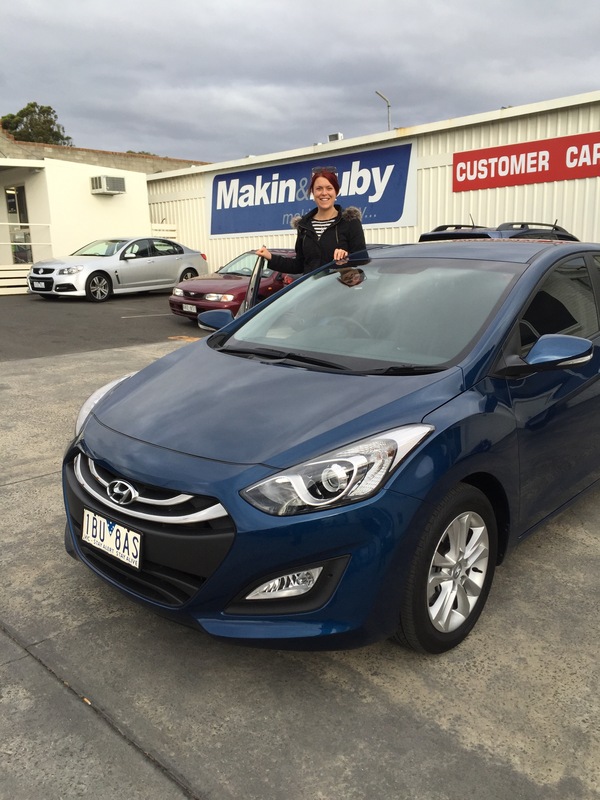 In most recent news, after seven years of driving Pinelope I’ve finally signed on the dotted car-loan line and got myself one of those flip-key-things to a dazzling blue i30. That’s the actual colour. I am in love. It has cup holders, electric windows, air bags, central locking, a CD player (although I don’t own CD’s anymore), bluetooth, iphone connectivity, tinted windows and full leather seats. A whole lot of luxuries the old silver Lancer did not have. They may seem small (and very early 2000’s) to you, but try driving a manual car with a latte in one hand. And then there is my wonderful supportive family and friends. Thank you for your breakfast debriefs. For your lunch debriefs. For your dinner, gelato, coffee, wine and walking debriefs. For reading my cover letters. For hopping out of the car in the cold because I don’t trust my new parking sensors. For knowing when ‘yeah good’ doesn’t mean things are good. For not just saying ‘It will be okay’, but using a bit of my own optimism on me. For reading my blog posts, and letting me know spelling errors. For letting me ramble. For making my weekends in Melbourne fabulously wonderful. Honestly, your you-can-do-it’s, high-fives, shoulders, ears and those simple ‘how are you?’ messages mean the absolute world, and I could not have made it through the past twelve months as bright eyed and bushy tailed as I have. And lastly, there is you. I need to thank you. Thank you for reading my ramblings. Thank you for commenting, sharing and retweeting. Thank you for asking me to write articles for you. Thank you to the lovely people that republished my articles. It’s really nice to know that people do appreciate what I write, and it’s not just my mum popping by Broccoli and Blueberries each week. Now that sure is super. So here’s too another super year of Broccoli and Blueberries. I hope you continue to join me as I flourish as a graduate dietitian, balancing my weekday life in the country and my fabulous friend-and-food-filled weekends in the most liveable city in the world. Plus, how can you not stop by for the alliteration and terrible food puns? What a reflection! That lasted my whole tuna salad!! I love the honesty, integrity and optimism in everything you do and post Em.